Self described as a company which provides “a curated wardrobe for every season, delivered to your door every month,” putting it in the same genre of online shop as Trunk Club and Fashion Stork. One way in which Five Four Club differs from these is that it produces its own line of clothing. What Makes Five Four Club Different? 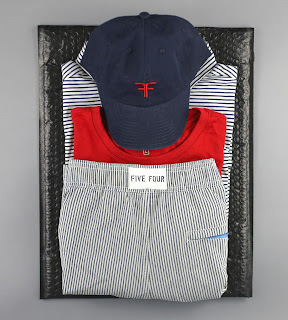 Another way in which Five Four Club is different from other monthly subscription fashion services is that they also have an online store from which members can choose and purchase clothing. All items available are exclusive to Five Four Club and its members. A third way in which Five Four Club is different is discounted pricing. Reviews of other clubs reveal that members paid premium prices for the convenience of getting high quality clothing picked by a stylist delivered right to their doors. Five Four Club is only $60 a month, and offers deeply-discounted deals, such as $240 worth of clothing for that $60 fee. Additionally, members can save more than 50%---and up to 80%---of retail value when shopping at the online store. A simple search reveals scores of not only dissatisfied customers, but customers who have suffered the “worst customer service” of their lives. A female customer reported that she tried Five Four Club for her husband, who hates to shop. She used a promo code for $30 for the first two months instead of regular $60 subscription fee. The shopping cart reflected the discount, but she was charged $60 on her credit card anyway. Each month. Customer service told her that they could not issue a refund, and, in her words, “offered me no option where I didn’t have to spend more money.” The customer service representative hung up on her when she asked to cancel. The customer also reported that the clothing was of poor quality and the sizes ran big. Another unhappy customer says that Five Four Club “are thieves.” He joined the VIP club, having been told that all exchanges would be accepted, no problem…Well over half of the clothes her received didn’t fit, including all varieties of shirts and pants. He returned eight items and Five Four Club sent him three t-shirts instead. They refused to refund his money, so he had to file a fraud case with his credit card company. But before I totally pan Five Four Club, I wanted to try it for myself. As others described, I went through the initial processes of signing up and setting my preferences. I paid for my first package in mid-February, and had to contact the company three times in order to receive it…in early April. The clothes were not terrible looking, but close inspection showed shoddy workmanship with loose threads present throughout clothing items, and zippers that didn’t work smoothly. I canceled my subscription (which was not an easy task), and I have to say that I agree with the other reviews I’ve read. Five Four Club is not a service worth subscribing to. All in all, many reviews landed on one star out of five, and that high because the reviewer couldn’t choose zero stars. Packages are paid for then not shipped. Perhaps the most telling quote of all came from Five Four Club “Chat Manager” Dee. She was asked by a customer if he could get his money back. “Good luck with that,” she said. That said, if you still want to check out Five Four Club.....Be my guest, but don't say I didn't warn you. Run---don’t walk--- AWAY from Five Four Club.